This article by Jerod Dinkin originally appeared in October's Horseplayer Monthly magazine. To read that issue, chalk filled with handicapping articles and stats, please click here. It is 100% free. 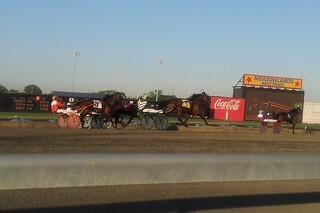 On a recent weekday evening in early summer, I was scouring through data at a Midwestern track seeking potential opportunities for an advantageous wager or two. I finished five races worth of research and was struck by the pure number of different race conditions listed in the Past Performances. Of the horses running in just the first five races, there were over 75 unique classes listed in their Past Performances. The concept of Stakes versus Allowance versus Claiming is simple enough, but the challenges faced by racing secretaries to fill races has created a whole new set of race conditions ranging from Non – Winners of a certain amount in a year, to State-Bred races, to endless numbers of different Claiming conditions, to Starter Allowances, to several subsets of Optional Claiming races [Granted, in the example above, some of the 75 unique conditions were simple differences in the values of the allowance races before and after changes in purse structure (i.e- $17,785 nw1x vs $18,995 nw1x) which reflect similar overall class. However, to the uninitiated it can all look like confusing hieroglyphics]. This need to fill races has created an unintended consequence: Further alienating potential new customers from becoming regulars. Class in the modern era is difficult enough for an expert to comprehend, let alone a newcomer. I rely on an in depth data service to help me discern which races are the strongest since pars and other methods of class analysis are too antiquated in the modern era for my particular needs. I have a tough enough time explaining the simple nuances of the game to newcomers without the myriad of classes involved, which is enough to make your head spin. Horse racing should take a cue from Greyhound racing with respect to this issue where in general, a simple letter system for grading races is utilized. In most jurisdictions the top level races are “A” races with descending levels of class down to “E” and “M” for maidens. If a dog wins a race at the “D” level, it moves up to “C”. If it goes a certain number of races without hitting the board at its current class, it moves down a level. This is simple and self-explanatory. Just this past year, the Meadowlands Racetrack implemented a similar letter based classification system for harness racing and it was met with rave reviews. Bettors online forums and across social media were impressed with the contentiousness of the races. Handle increased dramatically at the track due in part to this application, as well as other customer friendly initiatives. One of the great things about horse racing is the total number of moving parts in the handicapping puzzle, so this is not to advocate moving to a letter grade system in a widespread manner. However, wouldn’t it be nice if on a uniform basis, the track program and/or simple past performances could include a letter grade or number system to help those without a more familiar grasp of the game with the subject of class? Of course, this is a truly minor issue in the realm of all that ails the game and is by no means a make-or-break proposition for long term survival. However, due to the lack of institutional inaction on several higher level issues such as takeout, medication uniformity, and access to the product, we’re left with tiny incremental steps to help improve the game where possible. For this low attention span, Twitter, time starved era, patrons of all generations are demanding simplicity and consumer products that cater to this trend (in the gambling arena, slot machines and the lottery are two such examples) rise to the top. A simple class approach could be one small step toward making this great game more viable for mass consumption. That's a Great Response and Thank You! Is a Better Tote System Nearing Reality?